When you were little it was important that your clothes gave you room to grow. Now that you're grown, you want workwear that gives you room to move, like these Wrangler Riggs Men's Bark 3W060 BR Ripstop Ranger Pants. When you're working hard, you'll have plenty of ... (see full details) (see specifications) #WRG3W060BR. When you were little it was important that your clothes gave you room to grow. Now that you're grown, you want workwear that gives you room to move, like these Wrangler Riggs Men's Bark 3W060 BR Ripstop Ranger Pants. When you're working hard, you'll have plenty of room to bend, stoop, kneel, twist, turn, and stretch. The Riggs exclusive Room2Move® delivers comfort with an action-gusseted crotch and an improved fit in the seat, thigh, knee, and bottom opening. You may buy these bottoms for comfort, but that's just the beginning. They're built to work in a sturdy but lightweight 10-ounce 100% cotton Ripstop fabric with 7.25-ounce white pocketing. Ripstop is ideal for work pants because the weave stops little rips and tears from spreading and ruining your favorite work pants. Additional Riggs-tough features include triple-needle stitching construction, reinforced knees with dirt-drop vents, a sturdy #5 YKK brass zipper, back pockets reinforced at stress points, beefy 3/4-inch x 2 1/4-inch belt loops, and a patented tape measure reinforcement on the right front pocket. And speaking of pockets, these men's work bottoms have plenty. Up front, there's an over-sized watch pocket and 13-inch deep front pockets. Around back, two pockets are lined with tough 1000-Denier Cordura fabric. And two side cargo pockets feature flaps and concealed snaps. A right-side hammer loop rounds out the storage options. Wrangler packs everything you want in a comfortable, dependable pair of work pants into these Wrangler Riggs Men's Bark 3W060 BR Ripstop Ranger Pants. Buy yours today right here at Working Person's Store and get ready for comfort, style, and durability. 34 out of 34 people found this product review helpful. Best work pants I have ever purchased. I am a carpenter in the northeast and originally purchased one pair of these pants (3W060BR) on February 27 2009. My goal was to see if they would really wear as well as some people claim. After wearing these pants at least five days a week for nearly one year with washing them at least every two days if not every day, I am now returning to the Working Persons Store to purchase another pair. todays date is January 29 2010. These pants are amazing. I'm not talking about lazy days at work either, I'm only 30 and would kneel, climb, shimmy under houses, Trust me I've worked the Heck out of these pants. Feel free to hit me up on my email Eyeskratch@yahoo.com. I want to make it clear that I dont work for this store and I am not being paid for writing this. I am just a lowly carpenter who used to spend hundreds a year on work pants in the past and feel that someone like me would appreciate an honest opinion. One thing I'll do this year is buy the shorts for the summer months as they do get hot in the heat. But as for fit they have plenty of room in the crotch and legs. Purchased these for my husband who can really wear out his work wear. He loves the fit, the feel and the durability. We have already recommended them to all the guys he works with. Plus my father-in-law ordered a pair for working around the house in. Product also ran very true to size. 15 out of 18 people found this product review helpful. Most durable, comfortable, breathable work pants I have ever owned. I just purchased these cargo pants and I think there fantastic, very affordable, tough, and look pretty cool, I hope they hold up! 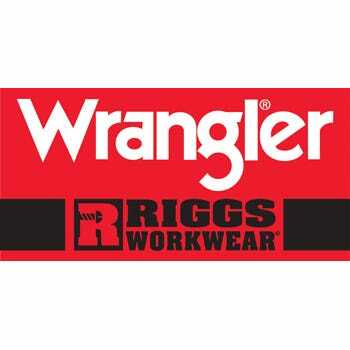 Wrangler Riggs Pants: Men's Bark 3W060 BR Ripstop Ranger Pants is being added to your cart.